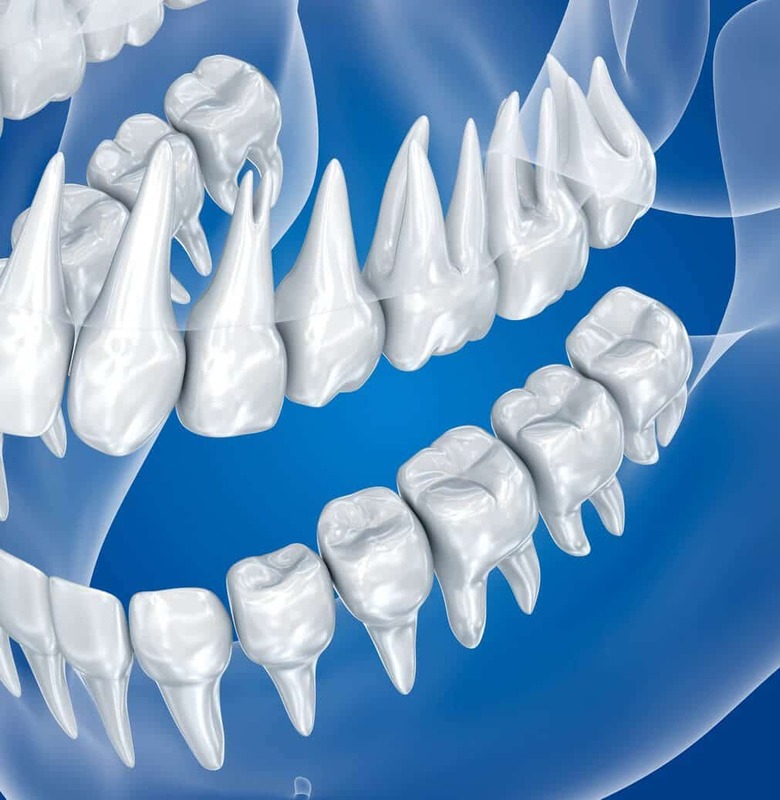 What Are Some of the Injuries That Wisdom Teeth Can Sustain? Wisdom teeth can be a real problem. Whether you feel like they need to be removed immediately or can wait a little while, they need to come out at some point. The removal of wisdom teeth is a common enough procedure, but that doesn’t mean it has no flaws. There are still risks. Here are some common wisdom teeth injuries. A dry socket is where the hole from the wisdom teeth have not clotted or become removed. This leaves the area exposed, which is very dangerous. This is one of the most common injuries sustained when removing wisdom teeth. It can happen three to five days after the surgery, so keep an eye out. There will be an ache or throbbing pain, which will be intense and located in your jaw or gums. You may also smell or taste something that doesn’t seem right, coming from the socket. Looking into the socket will most likely show exposed bone, instead of a blood clot. To prevent a dry socket, make sure you follow your dentist’s instructions after having your wisdom teeth removed. Do not smoke, while your mouth is healing. But, if you had a dry socket before or had complications during the extraction, your chances increase. They will also be higher if you are over twenty-five years old. If you believe you may have a dry socket, contact your dentist or surgeon. They will be able to tell you what to do until you can see them. Once you get into their office, they can flush out the socket and cover it. The dressing may need to be frequently replaced until the area has healed. An injury to your nerve may leave pain or numbness in the area. Your dentist will have to determine whether this will be a permanent or temporary issue. Nerve damage may make daily life challenging, causing pain when you drink or eat. It may also cause tingling and numbness in your tongue, chin, teeth, lower lip, and gums. However, this is far less common than a dry socket, and every attempt is made to minimize and prevent any damage. Most cases will only last a few weeks or months. But, if the nerve sustains severe damage, it could be permanent. If you have your wisdom teeth removed and start to get a discharge from the site, you might want to talk to your dentist. Keep on the lookout for a high temperature, the color of the discharge and any pain or swelling in the area. Once you can see your dentist or surgeon, they will be able to take a look at the site and tell you how bad it is. It tends to be that they will be able to flush out the infection and dress the wound. They will most likely give you antibiotics and give you an idea of the best way to rinse your mouth. But, you will also want to ask them about how you can keep the wound from getting infected, again. If you have signs of bleeding after wisdom teeth removal, you should contact your dentist immediately. They will need to take a look at the site and assess any damage. You don’t want to lose the blood clot or acquire an injury to gums in the area. They might have to give you a prescription or some special instructions to care for the site, depending on how bad the bleeding is. But, that is something they will need to take a look at before giving you further direction. In some cases, you will need a general anesthetic to have your teeth removed. This has risks of its own, but the complications are extremely rare. They occur in one of every ten thousand cases, and those tend to be related more to the anesthetic than the wisdom teeth extraction, itself. If you have had general anesthetic before, and without complications, you should be fine. If you have not, but your family has a history of reaction, or you have a medical condition, it is something you should mention to your dentist or surgeon. Just know that it is a very common procedure, which rarely sees issues. It is best to find an oral surgeon or dentist that you trust and who has experience with these procedures. You can start your search here. While you are waiting for your appointment, it might make you feel better to read more about the procedure. You can also read more about the problems that occur while removing wisdom teeth here. In the meantime, do not worry. Complications from these procedures are rare, and dentists prefrom thousands a day. Just make sure you talk to your dentist about any concerns you have, they will have all the answers!